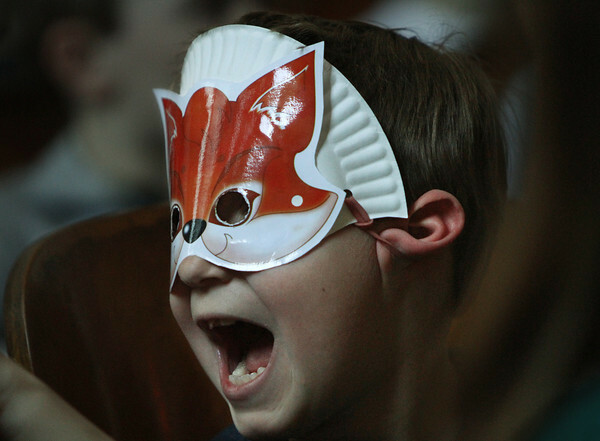 First grader Brady Messier wears a fox mask Friday during West Parish Elementary School's second annual MCAS test pep rally. The younger students encouraged third, fourth and fifth graders who will be taking the test next week. Brady wore the mask in a first-grade sketch featuring the refrain, "What does the fox say? Achieve! Believe!"